[S392] Website findagrave.com (http://www.findagrave.com/) "# 125797867." [S392] Website findagrave.com (http://www.findagrave.com/) "# 125797571." "Willis F. Sewall received his early education in the town schools of his birth-place and at Wilton Academy, Wilton, Maine, and Westbrook Seminary, Deering, Maine, graduating from the former in 1883 and from the latter in 1886. These institutions were preparatory schools, and after completing his studies therein Mr. Sewall attended Tufts College at Medford, Mass., from which he graduated in 1890, with a degree of Bachelor of Arts. He held the preparatory school prize scholarship for high rank throughout his college course. He was editor-in-chief of the Class Annual in his junior year at Tufts College, by choice of the faculty. He was instructor in French and English composition and assistant Librarian at Tufts College during the two years following his graduation, and he entered the Albany (N.Y.) Library School, in the fall of 1892. 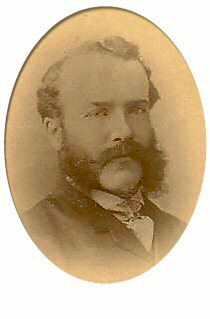 He served as indexer to the New York State Commission in Lunacy, in 1893-4; was cataloguer of the Sauppe Collection of Classical Philology in the Bryn Mawr College Library, in 1894-5, and librarian of the Wilmington (Del.) Institute Free Library, from 1895 to 1899, when he returned to Maine in poor health. In the winter of 1902-03, he served as cataloguer at the Grolier Club Library in New York City, from the last named place he came to Toledo, Sept. 1, 1903, and in the position of librarian of the Toledo Public Library he has rendered efficient service and performed the duties thereof in a manner entirely satisfactory to all. In politics, Mr. Sewall gives allegiance to the men and measures of the Republican party." [S205] Newspaper, Bath Independent, 24 April 1941. [S231] 1930 US Census, Bowdoinham, Sagadahoc, Maine. [S205] Newspaper, Daily Kennebec Journal, Saturday, April 26, 1941. [S232] Ancestry.com, New York, State Census, 1915. [S585] 1940 US Census, Los Angeles, Los Angeles, California. [S205] Newspaper, Star Tribune, 16 November 1988. [S89] Family Search, Illinois, Cook County, Birth Certificates, 1871-1940. (unknown boy twin) Sewell was the son of Chief Justice Jonathan/3 Sewell and Henrietta Smith.1 (unknown boy twin) Sewell died in infancy. 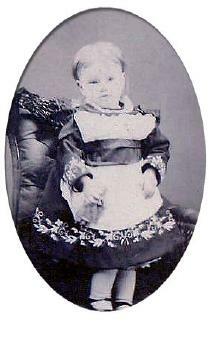 (unknown girl twin) Sewell was the daughter of Chief Justice Jonathan/3 Sewell and Henrietta Smith.1 (unknown girl twin) Sewell died in infancy. [S232] Ancestry.com, Quebec Vital and Church Records (Drouin Collection), 1621-1967. Québec (Anglican) (Québec (Holy Trinity church)), 1863. [S232] Ancestry.com, Quebec Vital and Church Records (Drouin Collection), 1621-1967. Québec (Anglican) (Québec (Anglican Cathedral Holy Trinity Church). [S232] Ancestry.com, Québec (Congregational) (Québec (Congregational Societes), Duplicata des mêmes registres), 1874. [S232] Ancestry.com, Québec (Anglican) (Québec (Holy Trinity church)), 1902. [S232] Ancestry.com, Québec (Anglican) (Québec (Holy Trinity Church)), 1891. [S232] Ancestry.com, Québec (Anglican) (Québec (Anglican Cathedral Holy Trinity church)), 1836. [S117] The Times Newspaper, Monday, Mar 24, 1879; pg. 1; Issue 29523. [S117] The Times Newspaper, May 31, 1935. [S205] Newspaper, hitstable Times and Herne Bay Herald, 13 July 1935. [S356] J.A. Venn, Alumni Cantabrigienses. 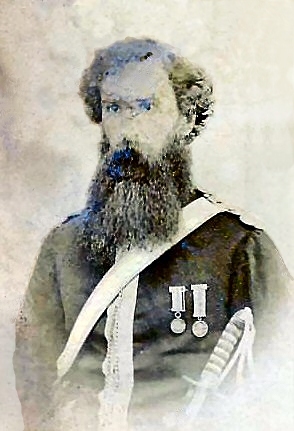 Colonel, 15th Foot, later the East Yorkshire Regiment. [S232] Ancestry.com, Québec (Anglican) (Québec (Anglican Cathedral Holy Trinity church)), 1817. [S239] Annual Register, 1850, p. 179. [S457] D.V. Attendorff, "Staples of Ceylon", p. 16. [S232] Ancestry.com, Québec (Anglican) (Québec (Anglican Cathedral Holy Trinity church)), 1875. [S26] Hector Livingston Duff, Sewells in the New World, p. 83. 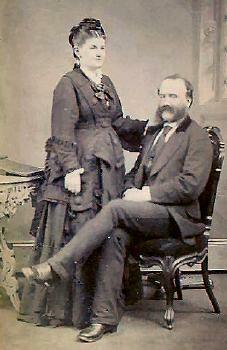 Children of Alice Sewell and General Sir Edward Lechmere Graves Russell K.C.S.I. [S232] Ancestry.com, Québec (Anglican) (Québec (Anglican Cathedral Holy Trinity church)), 1838. [S232] Ancestry.com, Quebec Vital and Church Records (Drouin Collection), 1621-1967. Québec (Anglican) (Québec (Anglican Cathedral Holy Trinity Church) 1867. [S26] Hector Livingston Duff, Sewells in the New World, p.96. [S205] Newspaper, Times of India, 26 August 1872. [S482] London Gazette, 4 November 1915, p. 10903. [S232] Ancestry.com, Maine State Archives; Cultural Building, 84 State House Station, Augusta, ME 04333-0084; Pre 1892 Delayed Returns; Roll # 91. [S232] Ancestry.com, Québec (Anglican) (Québec (Anglican Cathedral Holy Trinity church)), 1892. [S232] Ancestry.com, Québec (Congregational) (Québec (Congregational Societes), Duplicata des mêmes registres), 1875-1877.